A group of 40 international scientists led by a College of Agriculture and Life Sciences professor says three of the earth’s mightiest rivers are being ravaged in the name of progress. The findings of Kirk Winemiller, Regents Professor in the Department of Wildlife and Fisheries Sciences as well as a Texas A&M AgriLife Research fisheries scientist in College Station, and his colleagues were released in the scientific journal Science. The hope, Winemiller said, is that the exposure afforded by publication in Science will boost dialogue among scientists, policymakers and stakeholders globally and stimulate policy reforms to save rivers from major and permanent ecological ruin. 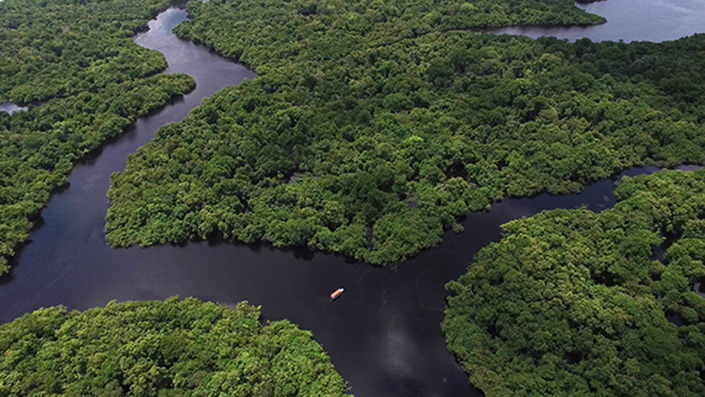 The Amazon, Congo and Mekong rivers, the three targeted by the study, hold roughly one-third of the world’s freshwater fish species, many of which are found nowhere but their respective river basins, Winemiller said. The three rivers all have limited hydropower dams in place for creating electricity for their areas’ growing economies, and, until recently, were only exploited to a limited degree due to the previously sparse energy demand, he said. Winemiller said the Amazon River has 2,300 known species of fish or 16 percent of the world’s known freshwater fish, with more being discovered each year. The Congo Basin ranks second with 1,000 fish species followed by the Mekong with at least 850 recognized freshwater fish.